Purchase this product now and earn 14 benchies! 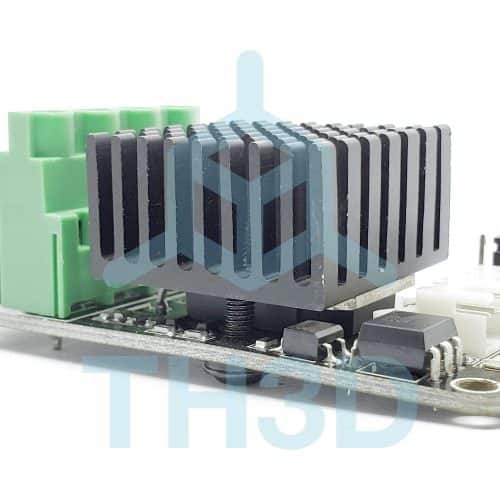 Upgrade your heated bed to heat quicker (if you have a stock MOSFET or none at all) with our high amp MOSFET board. 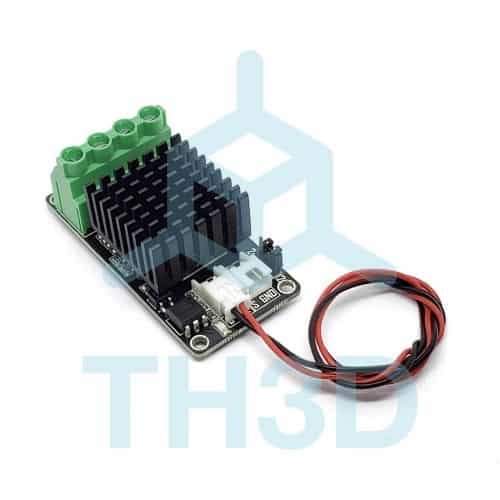 You can use this with heated beds or hotends (if you are wanting maximum protection). This will handle up to 35A at 12V-24V. Compatible with PID regulation (used in our firmware). 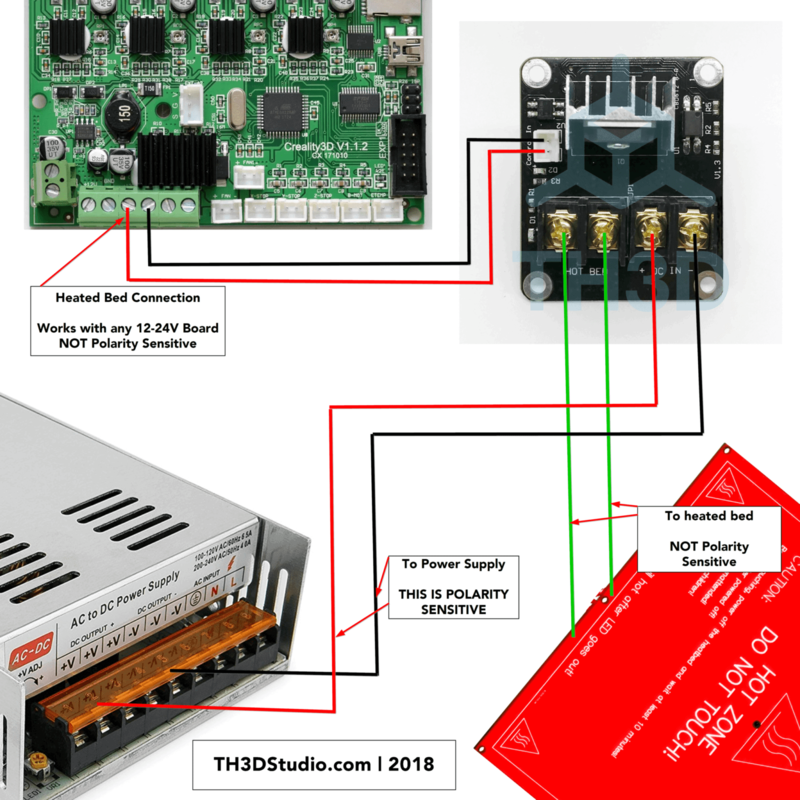 Works with the CR-10 printers and any other machine that runs on 12-24V on the board and heated bed. Make sure to set the voltage jumper to the printer voltage. 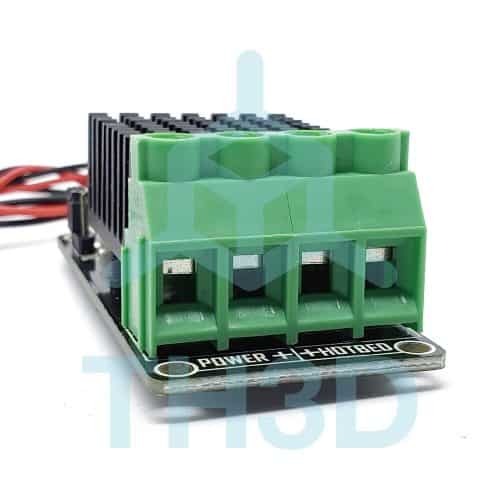 Works on 12V or 24V. 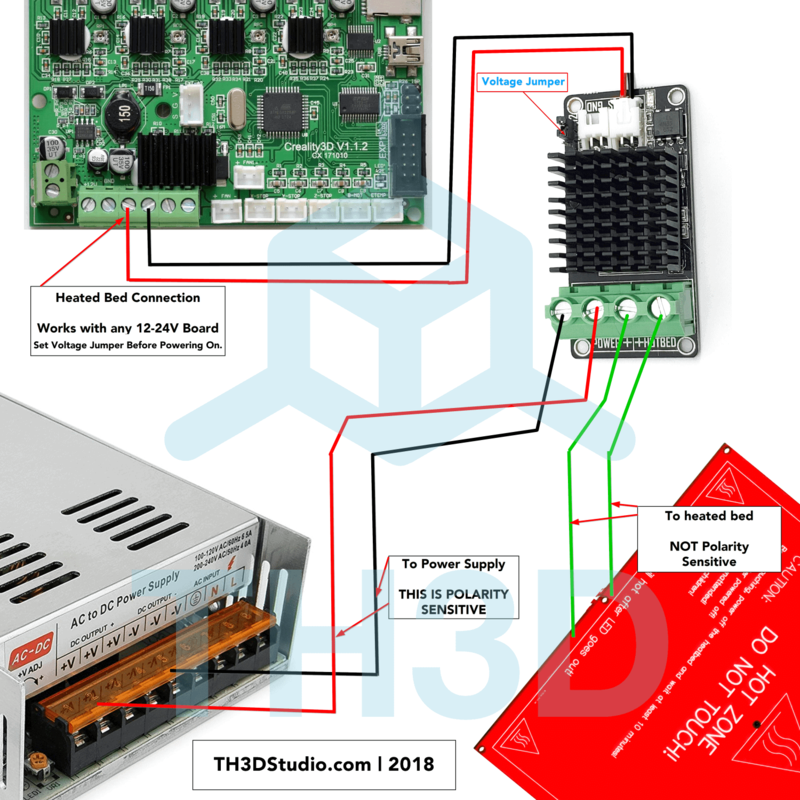 CR-10 Mounting notes: Use the basic mounting plate below and glue the plate with hot melt or super glue between the rear 40mm fan and the control board. 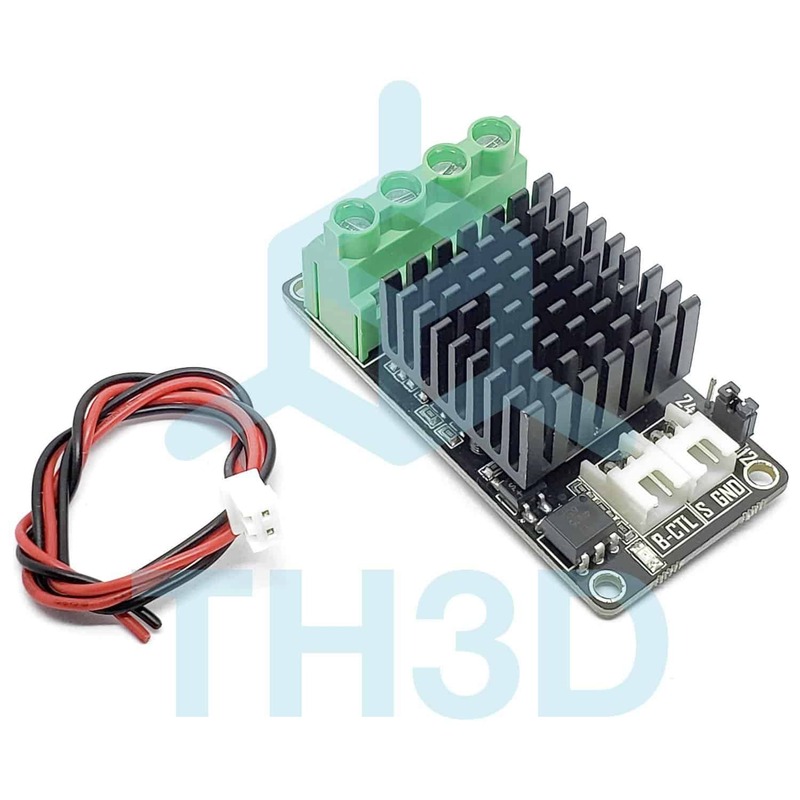 This will allow for proper cooling of the MOSFET. If you have the V1 MOSFET with the gold screw terminals click here for the wiring diagram.